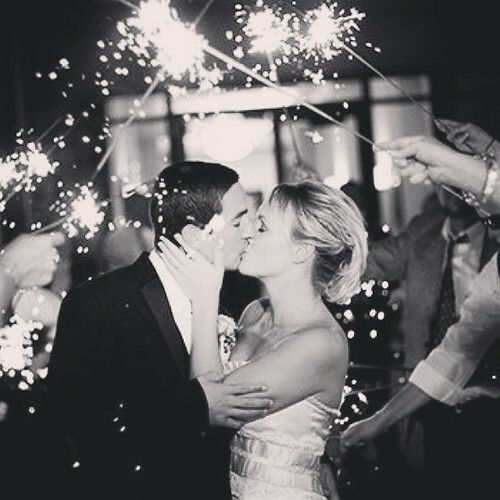 Sparklers have added the sizzle factor to weddings, birthdays and other celebrations for years – all of which evolved from a similar mixture to that which became the original firework – as discovered by Litian hundreds of years ago. They are the only kind of pyrotechnic device made today which is made to be handled when lit. 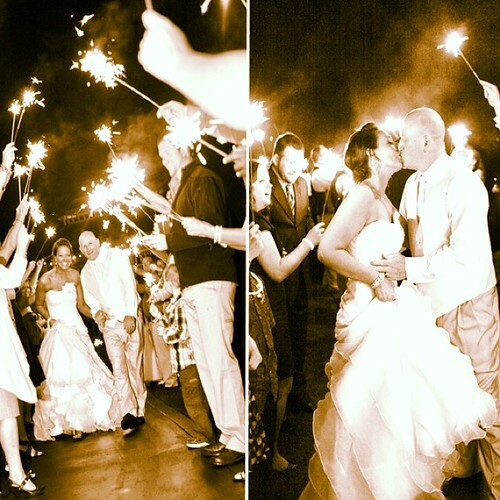 The sparkler usually burns for around 45 seconds + but is largely dependent on length. The ‘sparkler slurry’ mixture is created by combining boric acid and barium nitrate in a mixing tank. The Barium is the oxidizer and will help the sparkler to burn and the Boric Acid is the neutralizer. They then add water and cornstarch to bind the ingredients – this is mixed together before adding iron filings which give the sparklers their gold colour. The last bit to be added is the Aluminium powder which is highly dangerous so the operator is shut off in a room whilst this is added. Once added, it is no longer a danger and the slurry is ready to go. 1. Coloured – Short and the colours are added into the slurry – less iron filings are added as a result of the chemicals added so they are not as ‘sparkly’ as our other two products. 2. Monster – 14” long with beautiful gold sparks – our most popular product by far. 3. Mammoth – 18” long with beautiful gold sparks – these are a little more expensive but they have a long burn time making them ideal for weddings and they look great on photographs, particularly when used as a guard of honour for the happy couple but they are a great addition to any event. Like any other ‘pyrotechnic’ item, sparklers are still classed as fireworks for the purposes of transportation. As the above image shows, provided you have the right camera setting, a great backdrop and of course some decent sparklers, you are ready. The exciting thing about sparkler art is that the only thing holding you back is your own imagination. To capture the image, professionals recommend that you should use the slowest speed to offer the longest light exposure available on the camera as this will enable you to take brilliant shots. Set up on a tripod to avoid ‘wobble’ and setting F8 and 25-30 second exposure to start with and see how you go on. Art is all about experimentation and this proves that a little patience and some skill can certainly give you perfect results if you keep trying. The good thing about using this medium is that provided you have a good few sparklers, all the family (please ensure that all users are over 5-years of age) and they have some imagination, you are going to have a fabulous time and sometimes it’s the more obscure things that are the most effective. The long exposure time is your ‘drawing’ time and the camera will capture anything which is done in the interim period and burn it onto the image you will end up with. I would recommend that you have a couple of practice runs beforehand to get the angles etc right but if you do produce some, we would really appreciate it if you could let us see them.